Have you heard the name Fonesalesman before?… No?, Me neither until I managed to see the very beautiful WoodPuck. You’re thinking what is a WoodPuck Sam?, it sounds like some sort of hockey device thingy-ma-jig…. Well you are correct as in the device looks like a Puck from the very popular Ice-Hockey but this isn’t for your sporting needs. The WoodPuck is a Qi wireless charger that will help top up your Qi wireless based smartphone, Some of the newest devices such as the brand new Samsung Galaxy S6 / Edge both come with Qi charging built-in from the start, no need to add any extra pads or modifications anymore. 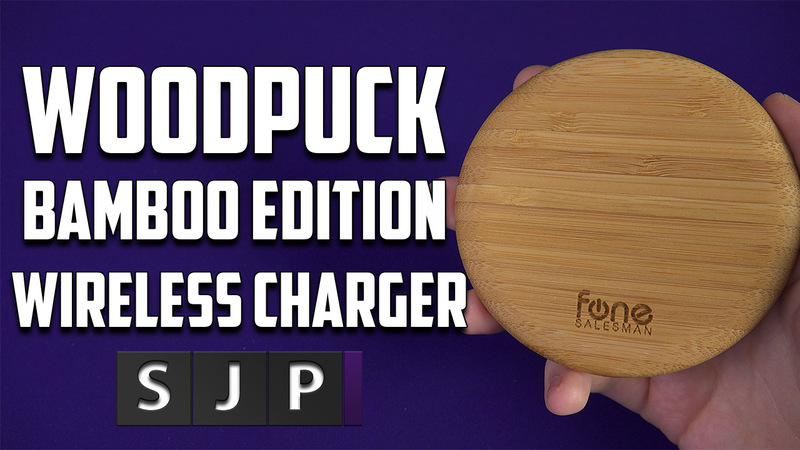 The WoodPuck is a beautiful charger, but it’s not just good-looking it is also a very solid performer. Mao Zhu Bamboo, which this WoodPuck is built out of, surpasses wood in both appearance and sustainability. WoodPuck not only looks great, it feels great in your hand too. The technology simply disappears leaving you with functional simplicity. Make your device Qi compatible with Fonesalesman Qi receivers. Crafted with all details considered, WoodPuck hides your micro-USB socket & plug. WoodPuck makes Charging throughout the day a smooth experience. It enables you to charge any of the Qi-compatible phones or tablets, and other phones with receivers – such as PWRcard and SlimPWRcard for Samsung Galaxy devices, iQi Mobile for iPhone, and even the QiStone+ Completely Wireless Power Bank. So what do you think about the WoodPuck? would you buy one?